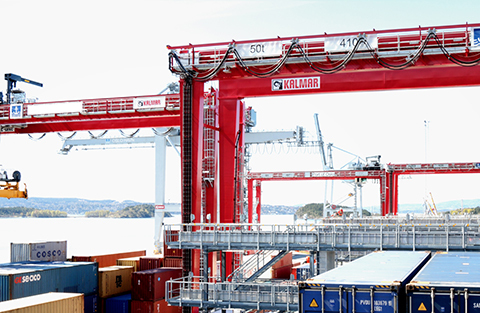 Kalmar SmartPort is a set of process automation modules and digital services that can be deployed in your terminal to help move containers more efficiently. SmartPort can help track, route and manage containers from the gate through to the quayside: optimising your operational productivity, safety, equipment and personnel utilisation rates and ensuring that you never lose another container. You can find out more by hitting the improve, informed or assist buttons below, on how we can make your next move a smart one. Registers the container ID and captures its image as it is unloaded from the vessel and shares this information with other systems, speeding up the process, identifying damage and preventing human error. Provides instructions to which stack the load should be moved to or from, making sure that the container gets to the right place, quickly, every time. Provides an automatic job allocation to the crane operator so he knows which container is to be moved next. Records the position of each container within the stack and reports this to the TOS, so you know where any container is at any given time. Tracks trucks around the yard so their location is known at all times, helping with a more efficient flow of containers and improving security. Automatically registers containers and trucks arriving at or leaving the terminal, so you know exactly where every truck is at all times and have a record of the flow of containers in and out of the yard. 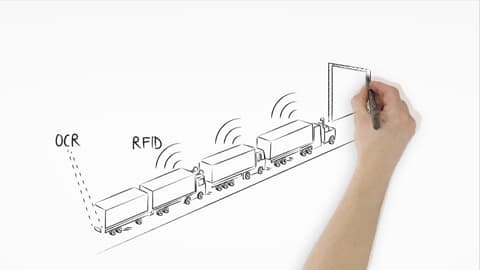 Identifies rolling stock and container IDs prior to them being handled by equipment. Provides real time information on your entire fleet, giving you instant insights so you can take immediate actions to optimise your operations to meet your operational KPI’s. Provides telemetry information on your equipment, so you can assess your fleet's technical performance and take necessary actions to improve it. Provides a complete overview of operational activity in the terminal, so you know exactly what is going on where and you are able to take corrective actions. It also has a historical playback function so you can review past information easily. Provides a clear view of the crane's spreader and stack in the operator's cabin without them having to look down through the floor. Provides a virtual rail for gantry cranes that run on rubber tyres, to keep the crane in alignment with the stack at all times. By mounting cameras and lasers onto the crane you can help to mitigate the risk of a collision. Are a set of modules that can help automate your crane operations, from remote control, through to fully automated operations. SmartPath provides position based events data when your equipment is in operation, updating this information once a second and then displaying it in SmartMap. 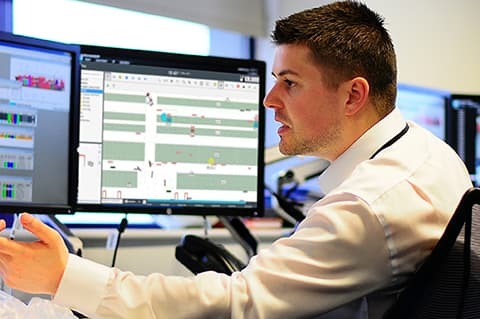 This allows the SmartPath software to identify which equipment should be allocated to the job and activates the said job when the equipment is in the right position. Thereby automating container movements. SmartPath is able to automatically advance the job steps in Navis Prime Route by knowing which equipment is available for each job at any given time. Optimising your job flows and increasing your equipment utilisation rates by automating the job sequence by geolocating your equipment. Removing human error and delays in reporting job steps. Navis Prime Route can help reduce the distance travelled by your equipment between jobs, increasing productivity. Navis Prime Route also helps improve operational visibility. Kalmar SmartPort may require additional hardware and software to be installed and fitted. Some software is already fitted in Kalmar equipment and can be retrofitted to older Kalmar or other manufacturers’ equipment if required. Additional hardware and software may be required, plus sensors and the Kalmar SmartPath software. In addition, you will need to have Navis Prime Route installed for job allocation and container positioning, which is part of the Navis N4 operating software. Geolocate your equipment and automate the job steps that are normally performed and reported by your operators. Send load instructions to your equipment operators automatically via a user interface in the equipment’s cabin. 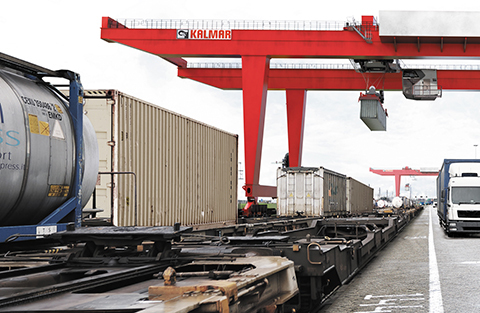 Kalmar SmartTrack automatically identifies and registers containers as they enter or exit your yard via train, by using OCR identification. SmartTrack will capture the container ID, and the exact time and date of the container entering or leaving. This technology can also be used to capture still or video content so you can inspect containers for damage. You will no longer need to manually record container details, saving time and removing human error when capturing details, thereby streamlining your processes. High resolution container images and video will enhance your inspection and damage control management. It allows for more controlled and seamless access to and from the yard. You can integrate this data into your TOS or other systems for further analysis. Kalmar SmartTrack software and OCR scanning technology will need to be installed to create a scanning portal over the railway. 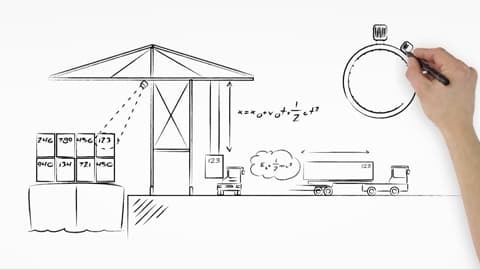 SmartQuay automatically registers the container movement and the container ID when the quay crane is in operation, loading or unloading. It works with OCR, DGPS and RFID technology to automatically identify the container and match it to the corresponding equipment for vessel discharge. It is suitable to use with terminal tractors, shuttle and straddle carriers. Improve safety by removing the need to have a clerk working under the quay crane, as information is captured automatically. 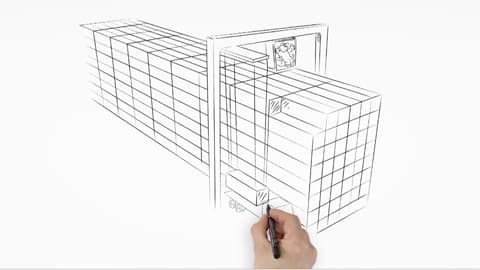 Reduce delays and improve the accuracy of the container information being captured, by removing human error. Integrate the container’s information into other systems, especially your TOS. The container weight can also be appended to this information as can other metadata from Kalmar SmartWeigh. Identify any damage to the container during the unloading process. Cameras are placed in optimal locations on the quay crane to capture all the container’s details while being loaded or unloaded. SmartQuay utilises sophisticated image processing algorithms to capture the container ID number and other key data in a timely manner. These images, as well as container movement information such as twistlock movements, are processed locally on a computer and passed on through the internal network of the terminal to a server based application for storing the images and data. This server based software can interface to a multitude of Terminal Operating Systems and other relevant applications, providing timely updates of container identification details. SmartStack is an automatic stack inventory system which provides updated location information on each container movement and the equipment moving it. So you always know where every container is within your terminal. An up to the moment, real time container inventory system that knows where every container is within the terminal. Each container update is automatic, easing the burden on your operators to record and share container location information. A reduction in lost containers as you will always know where they are. Automatic container information and location, thereby removing human error when manually capturing data. Can be fitted to most equipment that picks and places containers within your terminal. SmartStack utilises location sensor technologies onboard the equipment to accurately identify its position within the terminal. This “terminal coordinate system” is mapped during the implementation of the solution, so the system has a virtual map of your terminal in place to refer to. The equipment’s onboard system matches sensor information for accurate positioning, and utilises inputs from the equipment to identify when a container has been moved. All onboard activities are reported via the terminal’s internal wireless network to the Kalmar SmartPort server software which interfaces with the Terminal Operating System, updating it instantly with all container movements in the terminal. SmartLift automates the job selection process for a terminal’s lifting equipment. This includes RTGs, RMGs, reachstackers, top handlers and empty container handlers. SmartLift automatically identifies the terminal tractor or street truck to be loaded or unloaded, and provides the corresponding job to the lift equipment operator. An increase in operator productivity and system efficiency as the movement of containers can be handled more effectively, since the operator does not need to work out which job to do next. A significant reduction in human error, as jobs are automatically promoted and their completion recorded and shared with other systems. SmartLift uses RFID technology on street trucks and GPS technology on terminal tractors to match the carried container to the truck. A wireless or LTE network is required to transmit the work instruction. The job may be presented to the operator through the Kalmar user interface or through an existing screen. SmartTrucks is a process automation solution for managing street trucks in yard operations. It automatically identifies and tracks truck movement around the terminal, providing real-time and re-play visibility of all tagged street trucks. Greater security and safety by knowing where each street truck is within your terminal at all times. Improved efficiency by being able to trigger job instructions to container handling equipment operators when the truck is approaching the destination, optimising the dispatching and reducing waiting times. 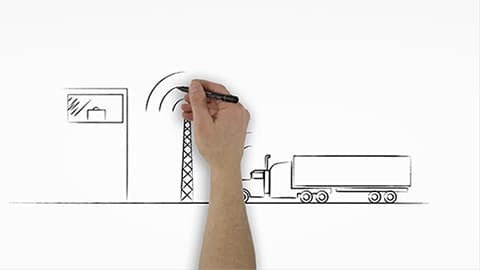 SmartTrucks uses tagging technology and location sensors. RFID tags are mounted on the trucks and location sensors are used to provide real time location information using triangulation. Based on the readings of the location sensors, the SmartMap visualisation tool provides real-time and retrospective monitoring of truck movements in the terminal yard. Tag exciters are positioned in carefully selected locations in the terminal to triangulate the position of each street truck by identifying the tags fitted on each truck. The exciters communicate with the SmartPort server through the internal terminal wireless network. The SmartPort server software uses sophisticated algorithms to pinpoint the location of each tag in the terminal. You will need to have an ISO 24730 RTLS (real-time locating system) infrastructure in place. This includes location sensors for light poles and RTLS tags for the street trucks. SmartLanes automatically registers containers as they move through your gates, when arriving or leaving the terminal. Maximised return on investment by increased throughput, process efficiency, safety, and security. SmartLane can also be applied to ASC lanes, identifying external trucks. Container recognition is provided through OCR portals, license plate recognition, local positioning radar or RFID and driver interaction through kiosks, and a software interfaced to the TOS. This solution can work with third party applications such as biometrics, driver ID and driver cameras, smartcards, weighbridges etc. and the solution can also be tailored to meet specific needs. In addition, with the OCR solution it is possible to capture the truck registration plate, container ID and any damage on the containers arriving and departing the terminal. SmartMap is a real time visualisation and operational tool that provides you with the current location and status of all your equipment fitted with location hardware in the yard . This information is displayed in real time, or you can playback past activity. This includes all events, and alarms and recorded actions. You can zoom in or pan around through different areas should you need to look at the information in more detail. Providing increased visibility of your equipment. Being able to review traffic flows, identify congestion points and take corrective action. Being able to view your entire fleet’s historical movements or by individual machine. Visually registering and displaying alerts and flags. Being able to be set up with numerous user defined scenarios. Enhancing your safety and security on site by providing a log of events in the terminal. SmartMap relies on location data from your chosen location detection system fitted on your equipment. This information is delivered to the SmartPort server via the terminal internal wireless network and is visualised on SmartMap. The system is installed onboard your equipment and then sends events and location information to the SmartPort server to be logged for further use. SmartFleet captures and displays the telematics of your mobile equipment fleet in real time. You can also review historical operational and maintenance data. A Graphical User Interface (GUI) that provides a clear and concise method for displaying equipment data. Ability to identify problems as they occur. Improved utilisation of equipment, as issues can be addressed as they occur. Improved safety, as remote monitoring means you need less people in the yard. Access to historical or parameterised performance equipment data. 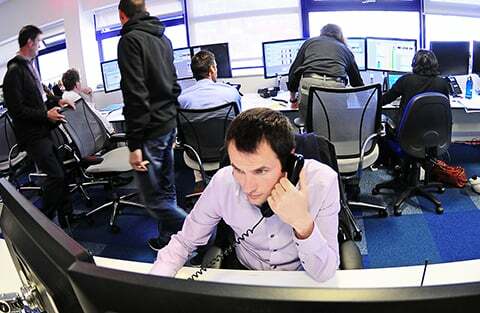 Features that help to analyse trends, and to create reports for the fleet’s Key Performance Indicators (KPI). Your mobile equipment will need to be fitted with suitable hardware to enable the transmission of detailed data from the equipment to the host server. Most new Kalmar equipment comes fitted with applicable hardware, older Kalmar equipment or other manufacturers’ equipment may need suitable hardware installed. Kalmar SmartFleet onboard and server software will also need to be installed. Data is captured from your mobile equipment’s PLC/CANBus and sent to the onboard computer running the Kalmar software. The collected data is then transferred to the host server via the terminal’s WiFi or LTE network. This data is then accessible through a user interface that is both easy to navigate and understand. The SmartFleet server architecture consists of a Database Engine (FMDS) and Front End application services (Analysis Tool & Fleetview). The database and applications can be installed on separate servers, but the most common deployment is on the same server. FMDS consists of a database application which works with Microsoft SQL Server. The only prerequisite for FMDS is MS SQL. Analysis Tool prerequisites are the creation and configuration of MS IIS Server Roles and Internet Explorer 9.0 or later for using the Web Interface. Mozilla Firefox or Google Chrome may be used as alternatives to Internet Explorer. Kalmar SmartFleet supports User Management through Active Directory user administration. Kalmar Insight gives you an easy to use overview of your operations by aggregating data from multiple sources, so you can take instant action on relevant information, that will help improve your overall business. Help to improve operational transparency and efficiency by tracking equipment and containers. Report on all equipment events and alarms. 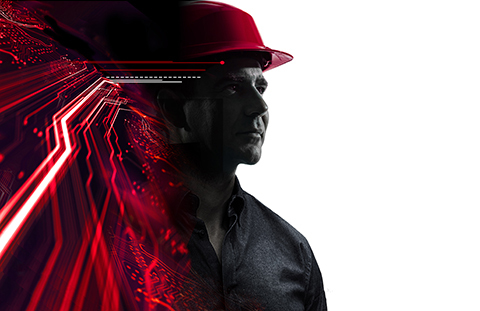 Help you optimise driver performance and equipment productivity. Reduce bottlenecks by understanding current processes and flow. Increase equipment uptime and reduce equipment total cost of ownership through proactive maintenance planning. Improve safety related processes via improved operational actions visibility. Kalmar Insight comes fitted as standard in all new Kalmar equipment. 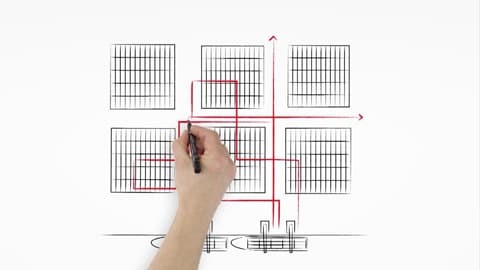 In older Kalmar or other manufacturers’ equipment, it requires Kalmar Connect to be installed. Kalmar Connect collects information via the CAN-connection, including alarms. For 3rd party equipment the following information is collected: running hours, location, fuel consumption and shocks data. For terminal/site operations and maintenance systems data, integration to TOS or MMS system is required. GPS is used for recording the position of all equipment at any given time. A cellular connection is used for data communication. Insight data is retained in a high-security cloud storage and provides user based access via any web-browser via multiple screen types. Kalmar has a host of automation solutions developed in-house for existing clients and equipment. These have been developed so they can be retrofitted to both Kalmar and 3rd party equipment with certain preconditions. Equipment automation consists of solutions that perform specific equipment movements automatically, in remote control or fully automated modes. Equipment automation is designed to perform equipment moves automatically in the most efficient way possible. Automation reduces stress on the machinery, prohibits equipment misuse and brings consistency and predictability into the operations. You will also benefit from improved levels of safety as less staff will be required to work around operating equipment. Kalmar equipment automation runs on the Kalmar TLS (Terminal Logistics System) platform which is a full end-to-end automation platform. This system can be integrated with your TOS and other systems by using Kalmar Key a set of open industry standard interfaces. SmartView enhances operator's visibility, using automatically zooming cameras and a special display module. Through the SmartView system your operators are able to view several camera streams at once from one monitor, thus seeing more than normal line of sight would allow. Helping to increase efficiency and improve availability through enhanced visibility so that operators can continue working instead of getting stuck on difficult tasks. 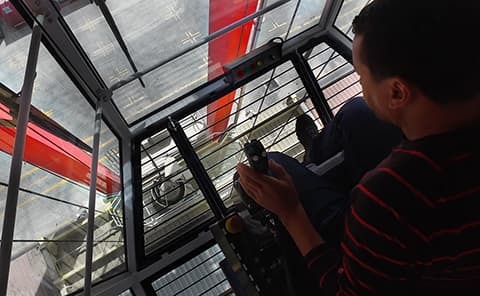 Automatic zooming is designed to avoid human intervention thus maximising operational safety and allowing the operators to concentrate on their primary tasks. The operator's view is created by instructing the zoom lenses of the cameras to move to a predefined position. This package includes 4 zoom cameras that are installed on the trolley. They are located in front of spreader, on both sides of the spreader and at the back of the spreader. Cameras are connected via a Power over Ethernet switch and connected to the onboard system running the Kalmar software. Spreader height information from the PLC is sent to the onboard system using either CAN or Ethernet communications methodology. The zooming positions are predefined based on your needs, however, in practice the maximum number of recommended zoom levels is 7. Zooming is performed seamlessly in steps in relation to spreader hoist position and length. The image quality is dependent on the existing lighting conditions in the working area. Note: this solution does not contain any additional lighting elements. Accurate viewing under all conditions cannot be guaranteed. The solution’s usability is highly dependent on the right camera position and the environment it is operating in. The RTG PLC provides the spreader height level, which then adjusts the cameras so they are in the right position. SmartRail is an operator-assist system, that provides a robust, reliable auto-gantry steering solution for RTG cranes. Helping your RTG operator to keep the crane running straight by using virtual rails. 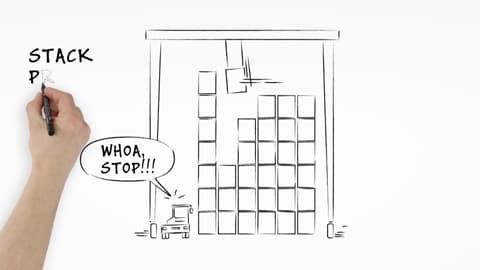 Reducing adverse operational scenarios (such as collisions with container stacks), as the system assists operators in keeping the machine moving in the correct direction. This is particularly noticeable in locations where there is a high labour change rate. Enhancing the crane’s overall operating efficiency. Gantry travel speed is increased with the assistance of SmartRail’s steering system, allowing your operators to focus on the task of moving containers. Allowing your operator to know exactly what is going on, as the display shows real time information related to rail, position and system status. The SmartRail solution is based on Differential Global Navigation Satellite System (DGNSS) technology. Advanced GNSS Real-Time Kinematic (RTK) positioning equipment, combined with onboard GNSS antenna and receiver, provide the RTG positioning. In order to correct GNSS signals, a correction signal is transmitted from a local base station via radio modem or WLAN system. RTK positioning improves the accuracy of onboard antenna position to 2 cm. 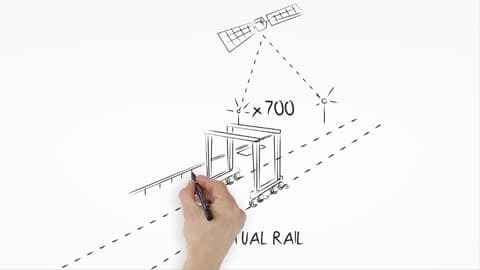 Typical accuracy of the SmartRail in relation to virtual rail is better than ±10 cm. SmartRail uses an onboard system running Kalmar software to fix the RTG position at 5Hz. Thus, the vehicle’s location and its orientation are continually monitored and controlled by PID-controller. Steering commands from the onboard PC are sent to PLC using a data communication method e.g CAN or Ethernet. As SmartRail is only an “assisting steering solution” it can be overwritten by manual steering commands at any time. Kalmar has a host of anti-collision solutions for various equipment types. They are designed to supplement the operator and help avoid impacts with physical objects. For example Kalmar SmartProfile helps prevent gantry and stack collisions. By reducing the number of collisions money is saved and operational interruptions are prevented. Helps avoid abrupt stops which are a known safety concern. A safer working environment is provided for employees and visitors to the terminal. Equipment will be fitted with added sensors ranging from ultrasonic pointers to laser scanners depending on the application. The equipment software and electrical interfaces need to be modified to perform needed stopping and slowing-down functions. All added components are installed onboard and require no network connectivity. By accessing the Internet pages of Cargotec Corporation's business area Kalmar (hereinafter referred to as "Kalmar") at www.kalmarglobal.com, or any of its sub-sites (hereinafter referred to as "Site"), you agree to the following terms and conditions. You must not access this Site if you do not agree to all of the following terms and conditions. Subject to the terms and conditions set forth herein and all applicable local laws and regulations, Kalmar grants you a non-exclusive, non-transferable, personal and limited right to access, use and display this Site and attendant materials for your personal use only. This authorization is not a transfer of title to the Site and materials contained herein and is subject to the following restrictions: (i) you must retain, on all copies of the Site and materials, all copyright and other proprietary notices of Kalmar; and (ii) you may not modify, distribute, transfer or store the Site or materials in any way or reproduce or publicly display or perform, or otherwise use the Site and materials for any public or commercial purpose, except as otherwise expressly permitted herein. The contents of the Site are Copyright © Cargotec Finland Oy 2014. Any rights not expressly granted herein are reserved. The trademark "Kalmar" and all other trademarks of Cargotec Corporation or its subsidiaries as well as product names, logos, commercial symbols, tradenames, slogans whether register or not, and services are trademarks of Cargotec Corporation. Your access to this Site should not be construed as granting, by implication, estoppel or otherwise, any license or right to use any marks appearing on the Site without the prior written consent of Cargotec Corporation. Kalmar reserves the right to change or modify this Site or withdraw access to it at any time with or without notice. The contents of this Site are provided on "as is" and "as available" basis. The use of any information, tools and services on this Site shall be executed on the user's sole responsibility and Kalmar makes no representations or warranties to the accuracy or functionality of such information, tools or services. Except as required by applicable law no warranty of any kind, either express or implied, is made in relation to the availability, accuracy, reliability or content of the Site. Except as required by applicable law Kalmar shall not be liable for any direct, indirect, incidental, special or consequential damages, lost profits or for business interruption arising out of the use of or inability to use this service, even if Kalmar has been advised of such damages. Kalmar shall not be liable for any inaccuracies, delays or failures contained in this Site, and shall not be obligated to notify users when information has been updated. Kalmar is not responsible for any loss or damage that is caused by your reliance on any data or services contained in this Site or data that the user has input into this Site. Kalmar assumes no responsibility and makes no representations or warranties whatsoever for material created or published by third parties that this Site has a link to. By submitting information or material (such as feedback, data, answers, questions, comments, suggestions, ideas, plans, orders, requests or the like) to Kalmar, for example by e-mail or via this Site, you agree that: (i) the material will not contain any item that is unlawful, libelous, defamatory, obscene, pornographic, abusive, harassing or threatening, or otherwise unfit for publication; (ii) you will use reasonable efforts to scan and remove any viruses or other contaminating or destructive features before submitting any material; (iii) you own the material or have the unlimited right to provide it to us, and Kalmar may publish the material and/or incorporate it or any concepts described in it in our products without compensation, restrictions on use, acknowledgment of source, accountability or liability; and (iv) you agree not to take action against us in relation to material that you submit, and you agree to indemnify us if any party takes action against us in relation to the material you submit. Kalmar has endeavoured to take appropriate measures in order to protect any personal data provided through this Site. Please note however that there are always risks associated with providing personal data and no system of technology is completely safe. Kalmar processes your personal data in accordance with the Personal Data Act (523/1999) and other applicable personal data legislation. Kalmar's aim is to ensure an as efficient and secure data processing as practicable. In addition, Kalmar seeks to develop the Site for a better quality and broader scope of services. 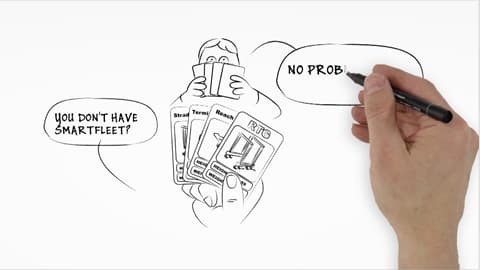 Kalmar's goal is to produce cost efficient services recognizing your specific needs without you having to register separately to each of the different services provided at the Site. Kalmar believes in openness in the processing of personal data and hopes that you carefully review Kalmar's Register Description, providing for specific information related to Kalmar' s processing of personal data. Once you register at the Site or have otherwise been assigned a specific identification code to access your accounts, we may request that you provide certain information. The purpose in collecting this information is to provide customized services and content meeting your specific needs and interests. From time to time Kalmar may place information on your computer to allow us to identify users of the Site. This information is commonly known as "cookies". Cookies give Kalmar information on how and when the Site has been used, where the user is in the Site structure and helps Kalmar to improve the Site for a better service. Cookies are today commonly used on many web sites. If you do not wish to receive cookies, or want to be notified of when they are placed, you may set your web browser to do so, if such function is supported by your web browser. Kalmar will not transfer any personal data outside Kalmar or its partners and affiliates. Due to the technical and practical requirements of the processing some of the personal data may be located at the servers of subcontractors or processed by subcontractors, which have agreed to the data processing standards of Kalmar. Kalmar may provide aggregate statistics about its customers, sales, traffic patterns, and other related Site information to reputable third parties, but these statistics will include no personal data.